Women hold 98 of the 535 seats in Congress -- just 18%. That's far fewer than in some other countries, which is one reason why the United States ranks in the middle of the pack on gender equality. Where are men and women most equal? Hint: It's not the United States. The U.S. has a larger gender gap than 22 other countries including Germany, Ireland, Nicaragua and Cuba, according to a World Economic Forum report released Thursday. The report rates 136 countries on gender equality, and factors in four categories: economic opportunity, educational attainment, health and political empowerment. By that metric, Iceland has had the narrowest gender gap for five straight years. Other Nordic countries like Finland, Norway and Sweden follow close behind. Why wasn't the U.S. even close to the top? While the country scores high on economic opportunity and education for women, it scores poorly on political empowerment. Not only has the United States never had a female president, women still make up far less than half of Congress. 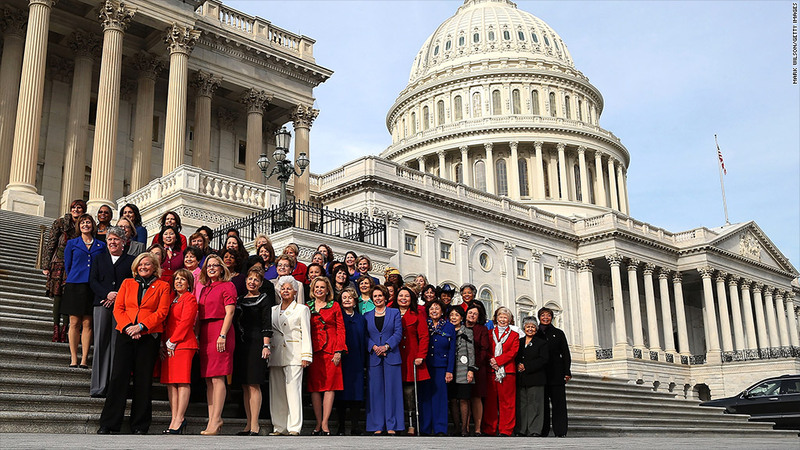 This year, women hold 98 of 535 seats in Congress. That's just 18%. In contrast, Iceland scores the highest in the world for political empowerment of women. Female heads of state led the country for 20 out of the last 50 years. Women also make up about 40% of the country's parliament. Places like Cuba and Nicaragua also have a far greater percentage of women serving in their legislatures than in the U.S.
India and Ireland had female heads of state lead their countries 21 out of the last 50 years. Iceland and other Nordic countries consistently score high on gender surveys. Their labor force participation rates for women are among the highest in the world, salary gaps between women and men are narrow and women have abundant opportunities to rise to positions of leadership, the report said. These countries also have generous paid parental leave policies, and ensure workers are given plentiful vacation time. The United States does give some workers the right to 12 weeks off from work after the birth of a child, but pay is not guaranteed. It's also the only developed nation that doesn't guarantee workers paid vacation time.